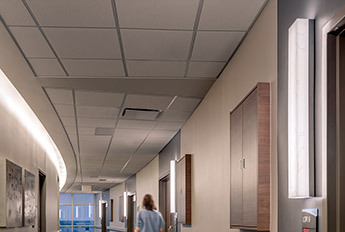 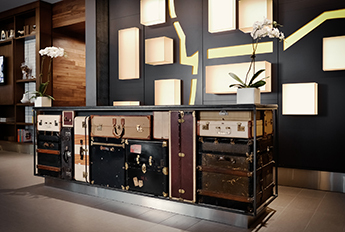 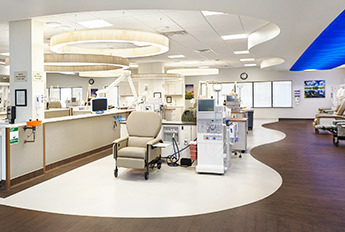 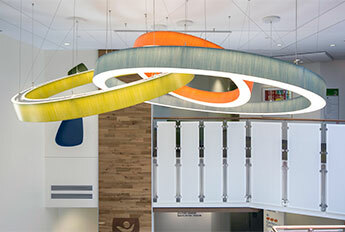 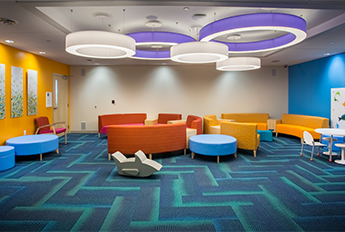 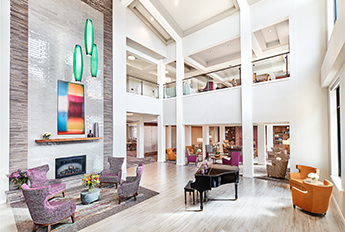 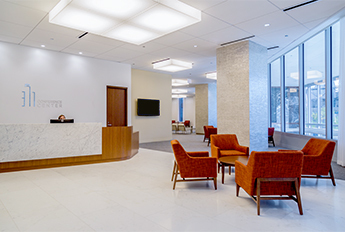 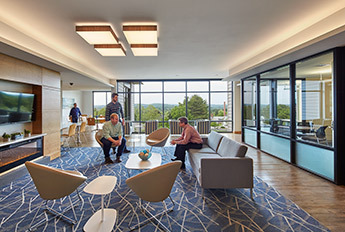 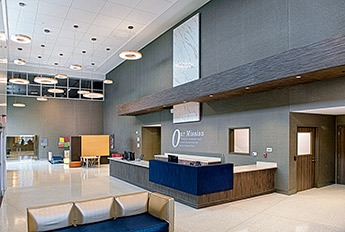 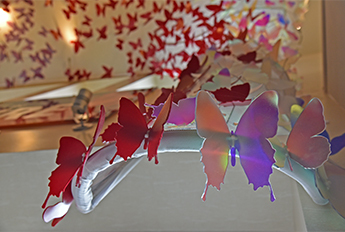 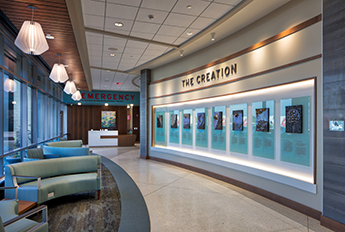 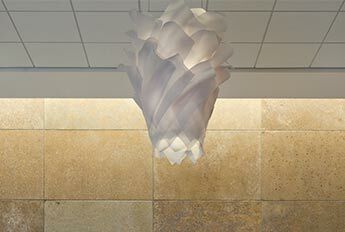 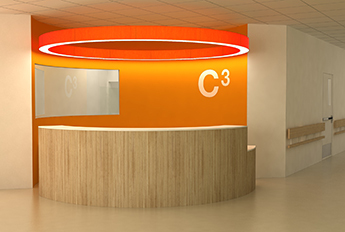 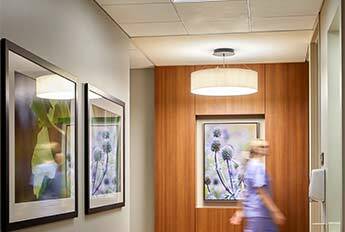 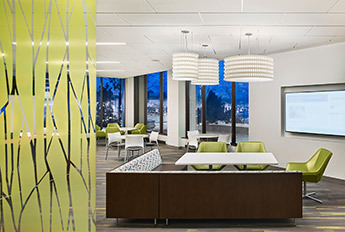 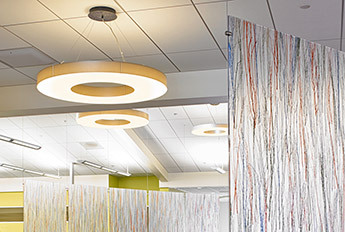 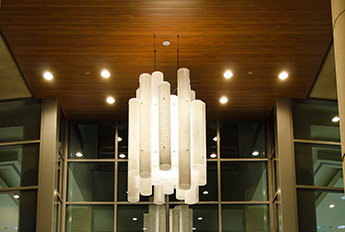 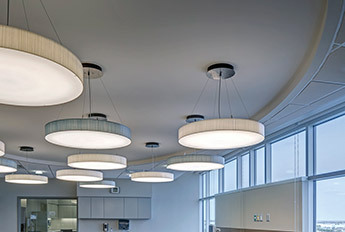 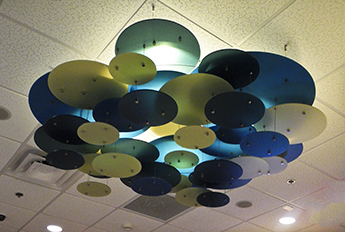 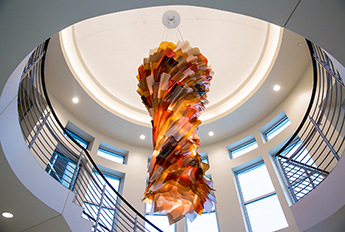 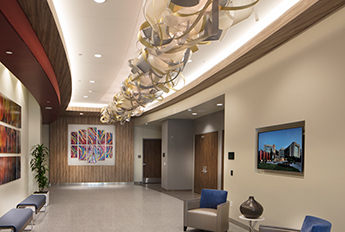 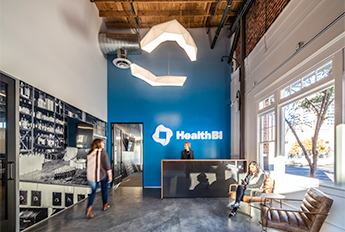 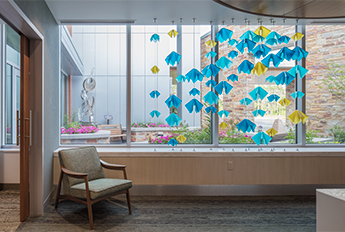 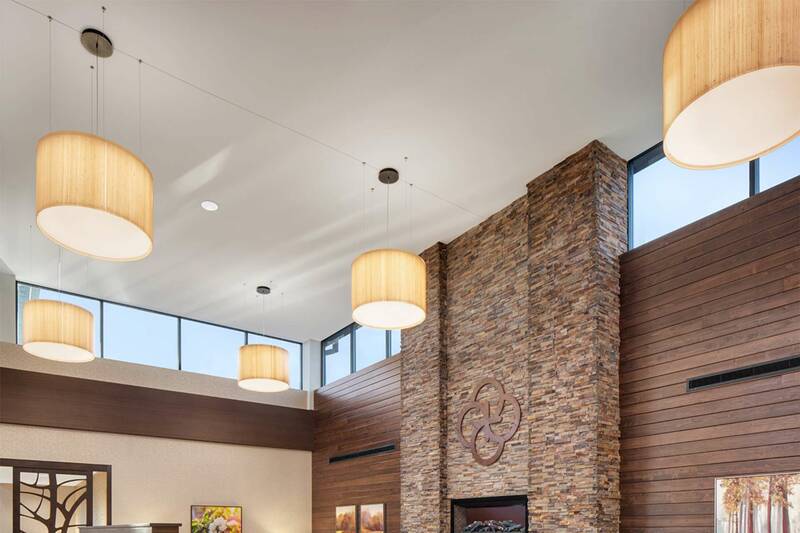 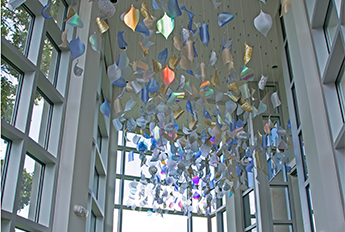 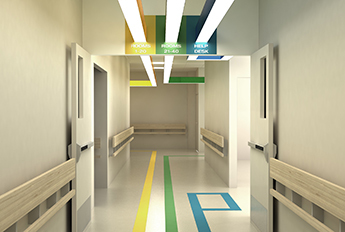 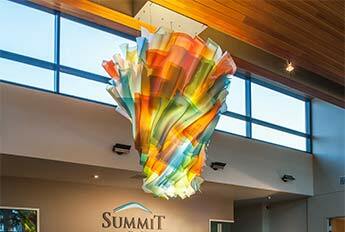 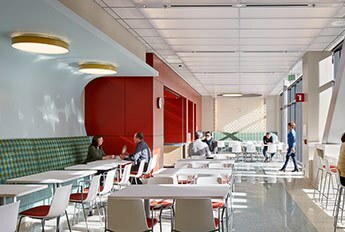 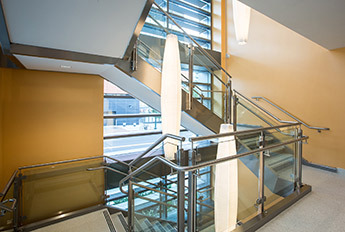 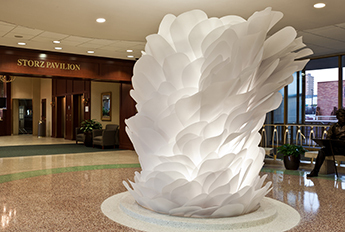 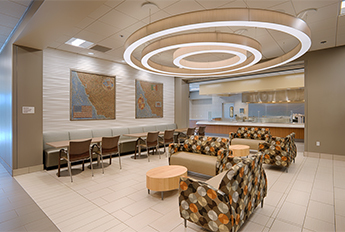 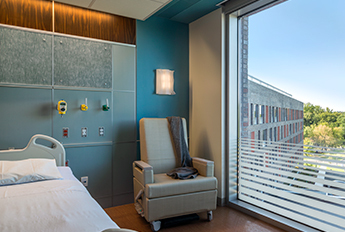 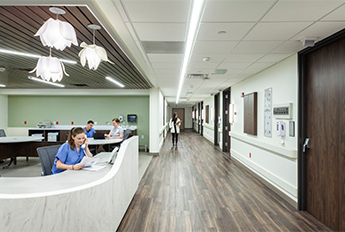 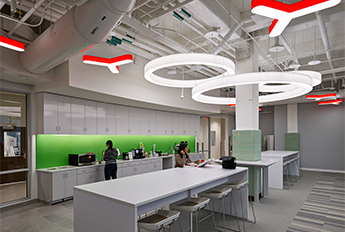 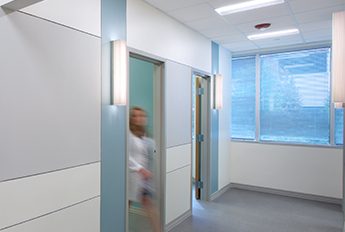 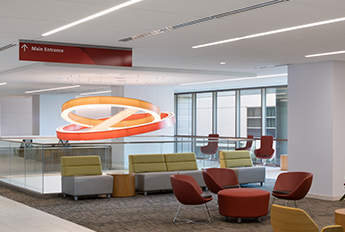 A cafe in the Arkansas Heart Hospital's renovations included pieces from LightArt's signature LA2 Essentials collection. 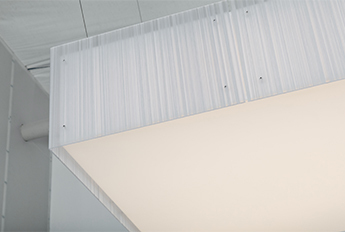 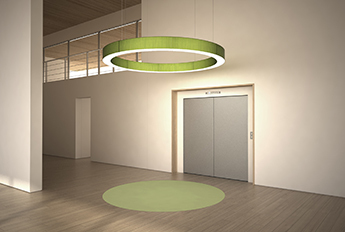 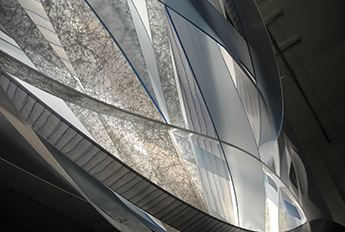 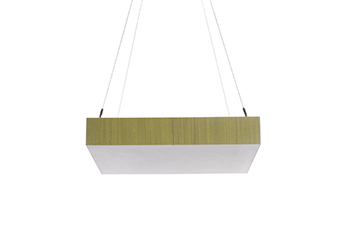 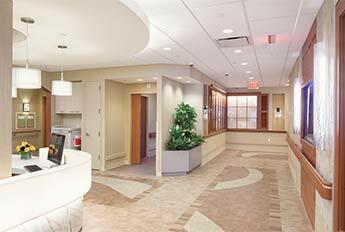 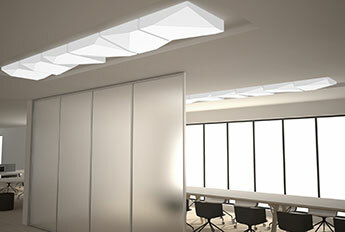 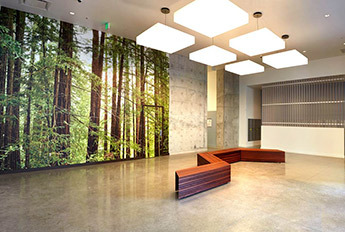 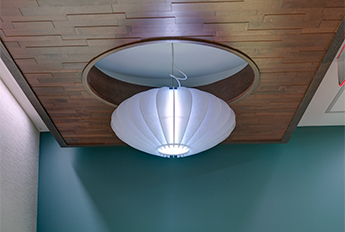 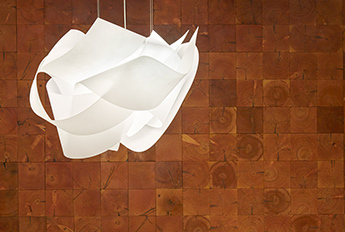 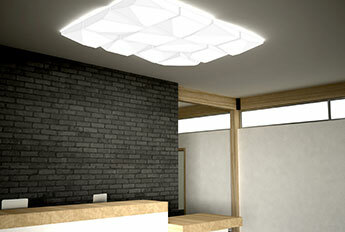 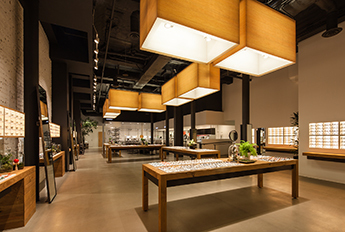 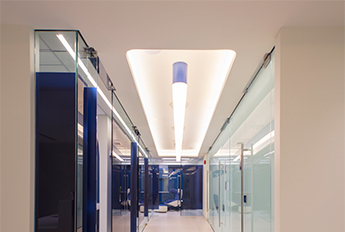 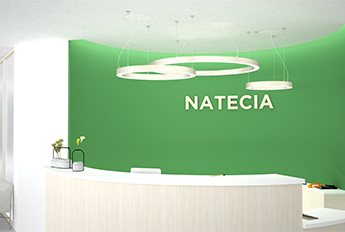 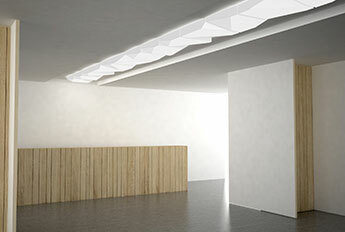 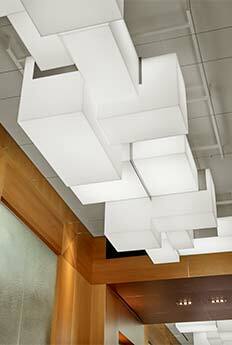 The Two and Three fixtures provide unparalleled light output, while blending and elevating the space. 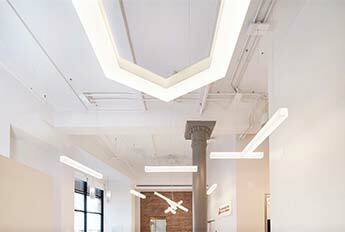 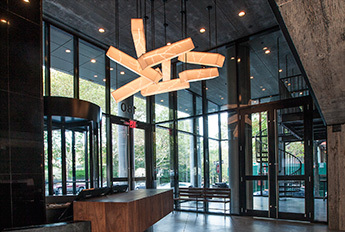 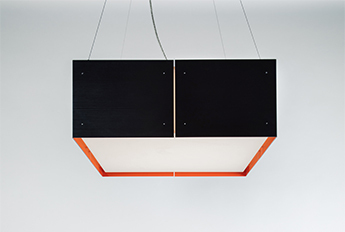 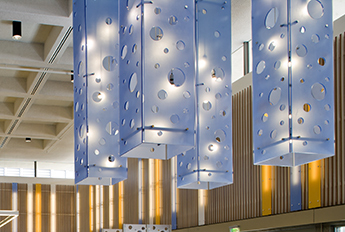 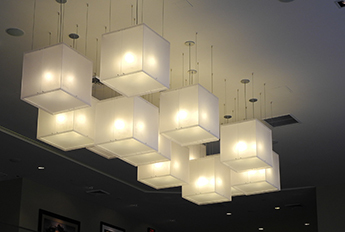 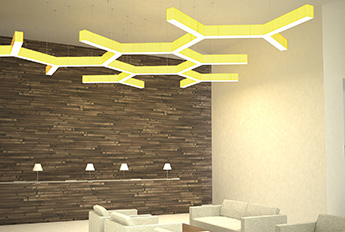 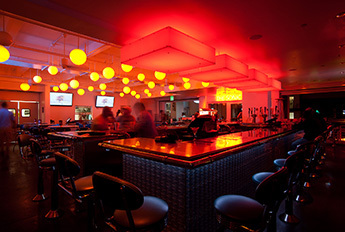 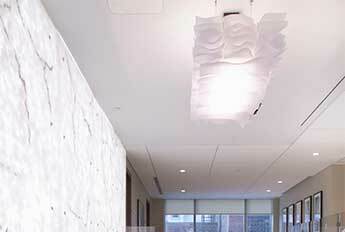 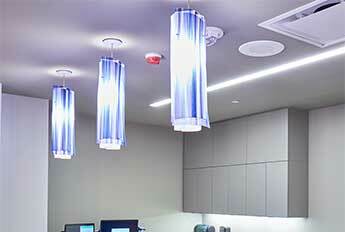 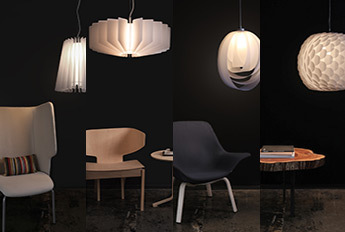 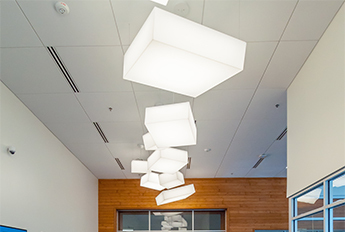 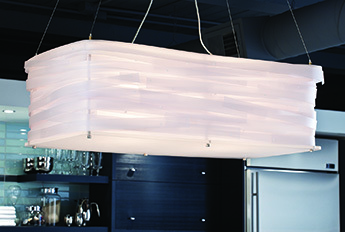 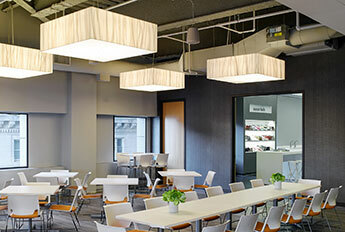 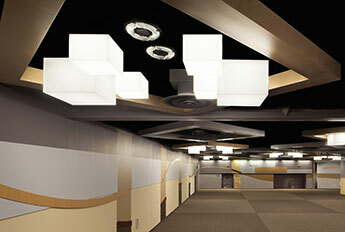 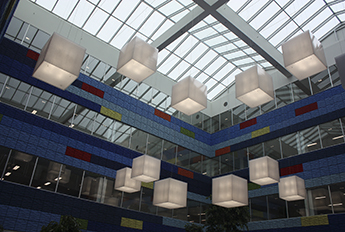 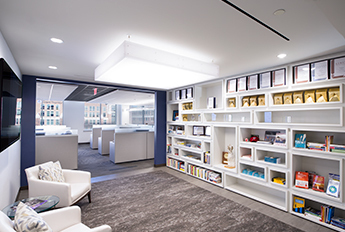 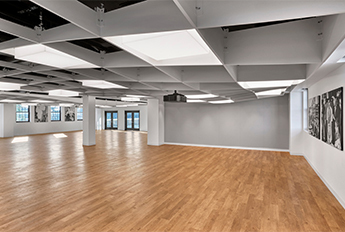 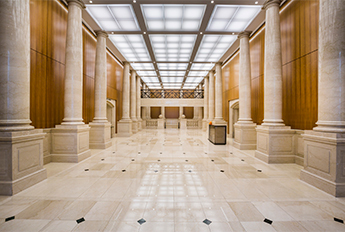 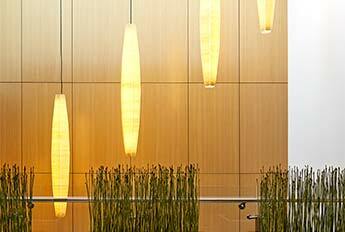 The four medium Two boxes were installed to craftily create a large lighting application in the dining space.